Is your company currently using an anonymous employee suggestion box? If not, you could be missing out on a huge opportunity to improve your company. Sometimes, the best ideas are with-held because of certain situations within a business. Read on to learn the benefits of an employee suggestion box and how it can impact your company. As per wiki definition,” A suggestion box is actually a device by which you will obtain the additional comments, request and question. It’s simple definition is, this is mainly a receptacle with open area, as same as voting box or offering box which is utilized for collecting of slips from customers or other people or patrons for the particular company or business. These boxes are found in a working office environment, organization, business place, etc. This is one of the noble concept as well as a valid technique of searching information. The Employee suggestion box is also a suggestion box that offers the employees of an organization a unique opportunity to make proper decisions at work. The result is that, the employee feels him or herself more powerful and assumes more ownership of their work. An employee suggestion box is considered as an effective tool for obtaining the input, request, comments and suggestion of employee in hopes of enhancing the internal processes and also increases the productivity of the company. Employee suggestion boxes can create the foundation of successful and effective employee suggestion programs. These types of boxes can give you the proper ideas & suggestions which help to get better revenues, provide the best customer service and and initiate the procedure of cost savings. These all are extremely effective for an organization. Here are some important advantages of the employee suggestion boxes which could help your organization a lot while also enhancing employee performance. These suggestion boxes assist you understand what the customer’s requirement is and how could you deliver your best to your customer. This is much more effective than online newsletters. Efficient employee suggestion box or programs could enhance the motivation of the employee, encourage employees to use proper teamwork, and promote loyalty among the employees within the office or workplace, which could lead to a spike in moral as well as morale and overall satisfaction of the employee. Employee ideas always assist you find out the proper way to increase the revenues of the business. Whether it is from better marketing and branding ideas or an idea to help lower the costs of production, your company definitely stands to benefit. Employees can create the ideas for your company which will lead to great cost-savings. This saves the organization huge amount of dollars every year. One of the best business ideas to ever come into being was generated by an employee suggestion box – Amazon Prime two day shipping. However, this is not an isolated case. Employees may have excellent ideas, but without a forum to submit their ideas and suggestions, no one will ever hear them. You may get some really great ideas that could improve business exponentially. This is an opportunity you do not want to miss. Employee’s suggestion boxes should be one of the common practices for most of the organization, because this is the excellent platform to express good small business ideas. 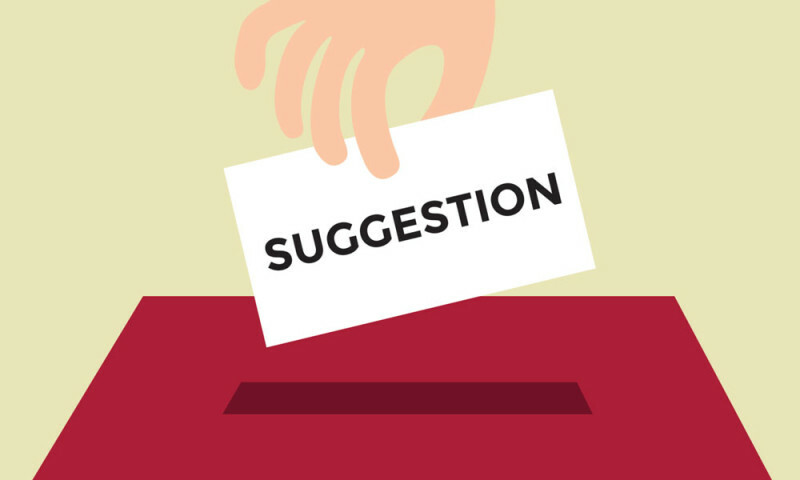 Actually, suggestions should be an effective tool to improve efficiency, decreasing production costs and improving overall internal improvement of organization. There are huge numbers of problems that most of the time goes unnoticed or ignored in a company. The suggestion box idea might be an old one, but it’s effective and works. It help to set up a perfect stage for the separate employees and department to become more relaxed and comfortable with the same programs in the future. Constant progression through such mechanisms allows organizations to repeatedly upgrade their procedures and requirements of customer service, improve processes and reduce production costs. This procedure is extremely effective than other tactics businesses employ, including start up services.